What Should A Tournament Report Look Like? 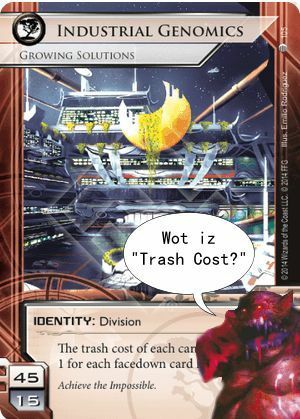 Back in the good old days of last year, I was maintaining a blog of all the FFG tournaments I went to, from Store Championships, up through Regionals, Nationals and eventually a report on Worlds 2015. Mostly though, despite writing thousands of words, each time, people seemed more amused by the vaguely humorous card comics I did to break up the text and I began to wonder if there was indeed any point in actually adding reams of text! This year, despite recording results diligently and little notes about the games and tournaments I’ve played in, I’ve singularly failed to add anything to the blog. Bad Gary. However, Regionals are almost upon us and I should really do some more, if for no other reason than to liven up the ole Stimhack Forum. What would you expect to see in a report? How long should it be? What gets too much and all very [tl;dr]? Do pictures help? Deck lists? Commentary on what other people were doing? What would motivate you to read a tournament report and what level of detail would you like to see? First, I would avoid exhaustive round-by-round recaps except for good rounds (i.e. if you beat a dumb Exile deck no one cares). That is so 2013. Secondly, avoid 20 words when 1 would suffice-- brevity is the soul of pageviews. Third, I would consider adding some comments on why you took decks A and B and how you tested beforehand. Lastly, I would comment on strategy in terms of gameplay decisions. Including a specific scenario in a memorable game would help. Like I said, just my two cents. I look forward to the report. Can I post my favourite :mtg: tournament reports here or does no one really care? If you’re posting it for reference, I don’t see a reason why not. I’m assuming you’ll post a link and then give highlights of what you like? I was thinking about writing up a brief tourney report for my 2nd place finish last week. I’m sure people will be stoked to hear about IG. In all seriousness, itd be good to hear where you felt the strengths and weaknesses were in proper match play and what the difficult match ups were. Please don’t Tarantino your tournament report. I can imagine opening in medias res at a tense moment in the finals, or in the game that keeps you in the winner’s bracket in the cut, and then flashing back to the beginning of the tournament where you barely made it to the event on time, carrying your off-meta deck. That would be some sweet narrative. But after that you probably want to revert back to going through matches in order. You can tell the world about our wet noodle fight in the last round. You with no D4/Faust; me with no money and 2 extremely vulnerable GFI’s in the trash can. Your worlds review was great. Not a big fun of the comics though. GodDAMN does Quinns look haggard in this pic. Poor guy. Loved he and Leigh’s tales. Met Quinns briefly at KOS. Swell guy, even though he had a handler/bodyguard/chauffeur. @evilgaz Calling me French… not sure if I’d take that as an insult or not. Seeing more of the thought process behind deck choice and discussion on “lines of play” for the various match ups would be my top request. Look at us. So young, so innocent. The Mumbad cycle was mere rumour and speculation. We had no idea what was to come.